London, Cassell and Company, 1923. . First Edition; 8vo; pp. (xii), 246; portrait frontispiece, 3 pages of plates, index; rebound in brown leather, title lettered in gilt on spine, pages browned, otherwise a very good copy. Air Commando. : Translated from the French by Edward Fitzgerald. First Edition; 8vo; pp. 303; portrait frontispiece, 21 b/w. plates; damaged worn dustjacket, pieces torn on top and bottom of spine of jacket and front bottom corner, previous owner's name on front free endpaper, minor flecking to first few and last pages, good copy. London, Jarrolds Publishers (London) Ltd, (1954). Travellers In Ancient Lands. : A Portrait of the Middle East, 1839-1919. Boston, New York Graphic Society, (1981). . First Edition; 4to; pp. xxii, 202, 265 b/w photographic illustrations, bibliography, index, original black cloth, title lettered in gilt on spine, dustjacket, price clipped, otherwise a fine copy. New Guinea: the tide is stemmed. (London, Pan Books, 1972).. 8vo; pp. 160; numerous b/w illustrations, bibliography; stiff illustrated wrapper, spine and corners bumped, previous owner's notes in ink on contents page, otherwise a very good copy. Battle Of Sydney. : A novel. (London), New English Library, (1971).. First Edition; 8vo; pp.144; dustjacket, a good copy. 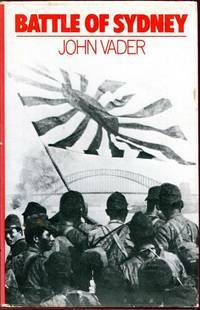 Fiction concerning the invasion of Australia during WW2. (London, Macdonald & Co., 1970).. First UK Edition; 8vo; pp. 160; numerous b/w illustrations, bibliography; stiff illustrated wrapper, spine and corners bumped, previous owner's notes in ink to contents page, wrapper torn from sticker removal on front wrapper, a good copy. Anzac. 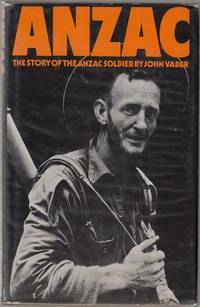 : The Story of the Anzac Soldier. London, New English Library, (1971).. First Edition; 8vo; pp. 128 (last page blank); 8 pages of plates; minor chipping to dustjacket. Red Gold. 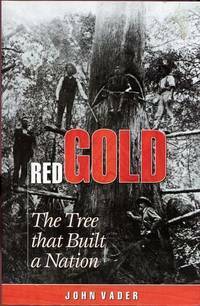 : The Tree that Built a Nation. (Sydney, New Holland Publishers Pty. Ltd., 2002).. First Australian Edition; 8vo; pp. 240; profusely illustrated throughout, bibliography, index; original stiff illustrated wrapper; minor yellowing to page edges, a very good copy. 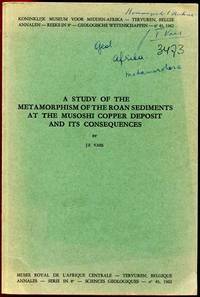 A Study Of The Metamorphism Of The Roan Sediments At The Musoshi Copper Deposit And Its Consequences. Tervuren, Musee Royal de LÁfrique Centrale, 1962. . First Edition; Lge. 8vo; pp. viii, 130; 20 b/w plates, 11 illustrations, 2 tables; original wrapper, note in ink to front of wrapper, wrapper faded, a good copy. Outline of the Geology and Mineral Deposits of the Democratic Republic of the Sudan and Adjacent Areas. 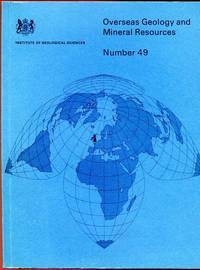 Number 49.: Overseas Geology and Mineral Resources. Institute of Geological Sciences. Natural Environment Research Council. London, Her Majesty's Stationary Office, 1978. . First Edition; 4to; pp. iv, 68; numerous b/w illustrations throughout, two large colour folding geological maps of Sudan in pocket at rear, bibliography; original stiff illustrated wrapper, very light fading to spine, minor wear to edges, pocket at rear has come unstuck, otherwise a very good copy. London, Macmillan and Co., 1912.. First Edition; 8vo; pp. xiii, 358; b/w frontispiece, 15 b/w plates, index; original green cloth, title in gilt on spine and front, gilt illustration to front of cloth; browning to endpapers, severe insect damage to cloth, minor foxing to page edges, otherwise a good copy. Jubilee Souvenir. Victoria District Independent Order of Rechabites. : A Record Of The Jubilee Celebrations, 1911. Historic Sketches Of The Order, Compilation of Australasian Drink Facts, Scientific Symposium, Synopsis of Licensing Acts. Melbourne, District Secretary, n.d. c. 1911.. 4to; pp. 126; numerous b/w illustrations; original blue cloth, insect damage and fading to cloth, title in gilt on front, spine and corners bumped, light foxing to endpapers, a good copy. Poetical Works Of J. W. Meaden. : Edited and with Biographical Sketch. Melbourne, McCarron Bird and Co, 1899.. First Edition, 8vo, pp. 111, portrait frontispiece, index, original black cloth, title lettered in gilt on spine, a good copy. Voyages And Adventures Of La Perouse. : From the Fourteenth Edition of the F. Valentin Abridgment, Tours, 1875. VALENTIN, F. Translated by GASSNER, JULIUS S.
Honolulu, University of Hawaii Press, 1969. . 8vo; pp. xxi, 161, profusely illustrated, 1 map, appendix, index; original illustrated cloth, minor bumping to corners, dustjacket, otherwise a very good copy. Heroes Of The United Service: In Two Parts: Heroes Of The Bristish Army, Heroes Of The British Navy. Thick Lge. 8vo; pp. viii, 248, 256; endpapers, colour frontispiece with tissue guard, illustrated title page, 34 f/p b/w illustrations, numerous other b/w illustrations throughout, original blue cloth, title in black on front and spine with gilt illustrations and page edges, cracked front hinge, inscription and light foxing on blank page at front, spine bumped with some silverfish damage to cloth, a good copy. London and New York, Frederick Warne and Co., n.d. [c.1900]. Then And Now. : Historic Roads Road Sydney. Sydney, Angus & Robertson, 1937.. 8vo; pp. xviii, 187; numerous sketches throughout; original orange cloth, title in brown on spine and front, spine faded, spine and corners bumped, spine cocked, flecking to page edges, foxing to pages, a good copy. First Act: Sovereign Hill - and how it all began. Victoria, Ballarat Historical Park Association, (1980).. 4to; pp. 52; profusely illustrated with b/w photographic illustrations, original illustrated stapled wrapper, a very good copy. 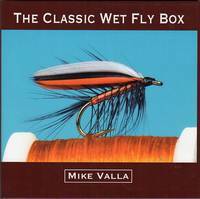 The Classic Wet Fly Box. (Cincinatti); Whitefish Press; 2012.. First Signed Numbered Limited Edition; Square Demy 8vo; pp. [vi], vi, 113, 2 pages advertisements; coloured frontispiece, illustrated title page, 100 highly detailed full colour images, endnotes, appendix, original purple boards, title lettered in silver on spine and front board, silver decoration to front board, dustjacket, fine copy. Limited Edition of 125 numbered copies this being copy number 100. 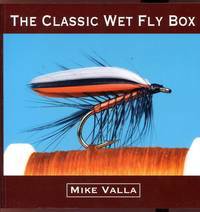 The author takes the reader on a tour of 100 wet fly patterns, from the popular to the obscure and everything in between. 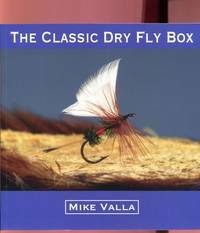 The Classic Dry Fly Box. Cincinnati, The Whitefish Press, 2010.. 4to; pp. iv, 116; frontispiece, profusely illustrated with colour photographs throughout; appendix; stiff illustrated wrapper, a fine copy. Cincinnati, The Whitefish Press, 2012. . 4to; pp. vi, 116; frontispiece, profusely illustrated with colour photographs throughout; end notes, appendix; stiff illustrated wrapper, a fine copy.